Save the date and come on out to our West River Trail Work Day! Saturday, Nov 1, 10 AM to 1 PM. We have plenty of tools, but if you prefer, bring your own shovel, iron rake, hand saw, clippers or leaf rake. It should be light work– mostly drainage clean out and pruning as needed. Hopefully it will be a great fall day on the trail! Bring a friend and join the work party! Questions? Please email Jason at jason.cooper10@gmail.com. See you on the trail! 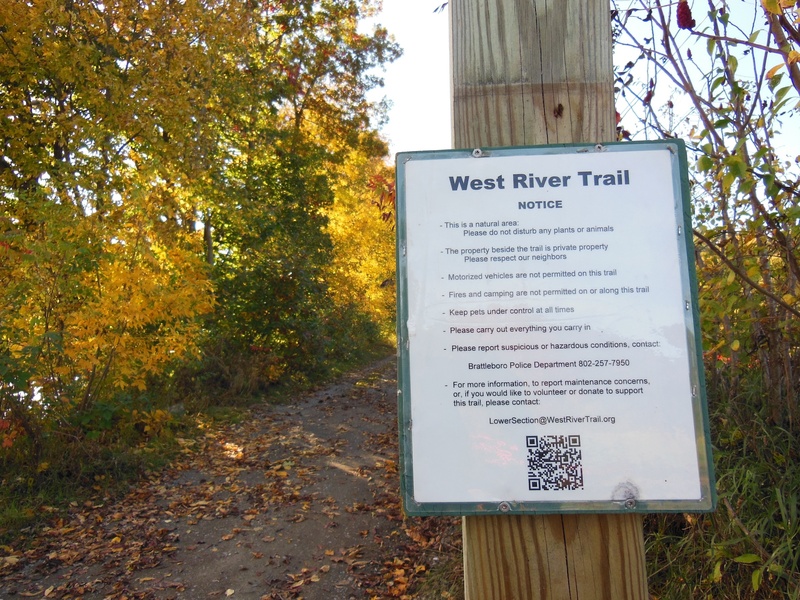 This entry was posted in lower section, vermont, west river trail and tagged lower section, trail work-day, vermont, west river trail, West River Trail Work Day, work-day. Bookmark the permalink. I added this to The Marina’s Facebook page (www.facebook.com/vermontmarina). Hopefully you will have a great turnout. Thanks, Laurie! 🙂 And thanks to all of you at the Marina Restaurant for supporting the West River Trail!